Is Junk Food at Work Really a Matter of Personal Responsibility? 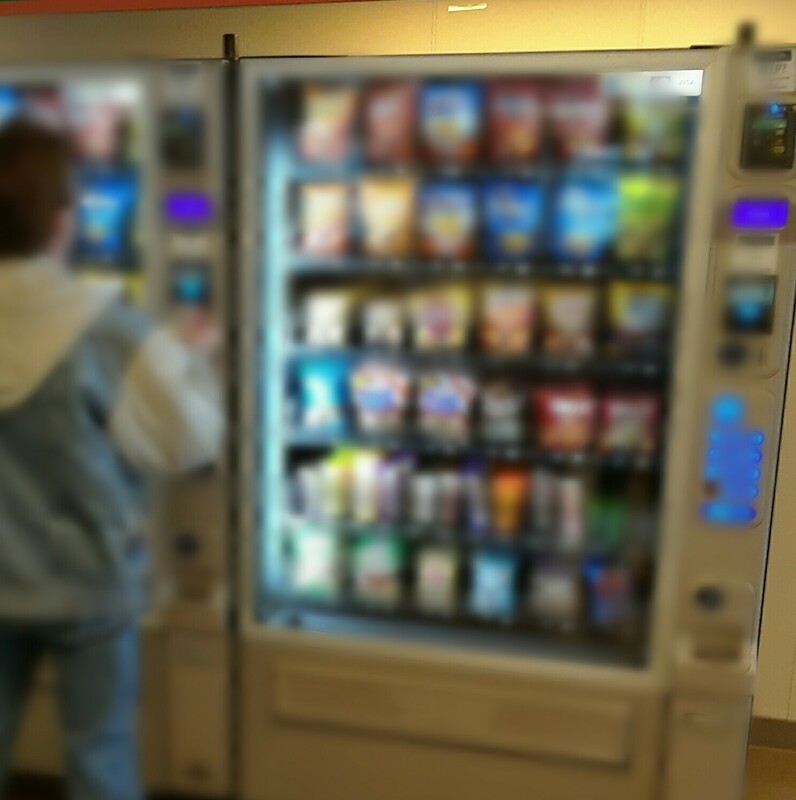 Workplace wellness has traditionally operated under the model of cafeterias, vending machines and kiosks offering “some healthy options” to give people a “choice” to do the right thing. In my experience, the healthy options have varied from fully stocked salad bars with a rainbow of fresh vegetables and fruits, to a cafeteria that only offered a wilted iceberg lettuce salad with mushy tomatoes, dried up baby carrots, an overly ripe banana with hair growing on the tip, and a package of insulin-spiking low-fat cookies. Regardless of the quality of the healthy options, I have often wondered why companies don’t scrap the “few” to replace it with all healthy options. After all, poor diets have been shown to increase the prevalence of chronic diseases, the primary contributors to healthcare costs growing faster than the rate of inflation. I’ve had this conversation with several people over the past few years, and their response has been “you’re taking away someone’s personal choice.” But is it really a personal choice? Taking into account the case studies Moss chronicles in his article (the push toward product optimization which included adding sugar or high fructose corn syrup to pretty much everything to find the “bliss point” for consumers), it’s clear that none of this had anything to do with nutrition. This was about employing the smartest PhDs, scientists and marketers from the best universities to develop products that will sell. Another concept mentioned was the mastery of “sensory-specific satiety,” which involves complex formulas that are alluring to the taste buds, but don’t overwhelm the brain to signal it to stop eating. After reading the Moss article, I concluded that the practices used by these companies are deceptive and coercive, designed to prey on people who are strained for time and need food fast. I am struggling to find the ethical difference between the methods used by ultra-processed food companies and those used by predatory lenders that we’ve seen in years past where companies benefit financially by taking advantage of people who lack knowledge, time and ability to figure out these selling tricks. You have highly educated people whose sole job and compensation structure are incentivized to develop products that will generate massive sales (not healthful nutrition), and who are pitted up against the employees in your company trying to do their jobs as accountants, engineers, technicians, programmers and customer service representatives, who are in turn expected to take personal responsibility to figure out what is most healthful for them and their families. Now, is this really fair? Is this really a matter of personal responsibility? Or is it genius product-development by a team of so-called “experts on cravings” and marketing prowess exploiting a situation which involves maximizing sales of junk food for busy, stressed-out people, profiting from making them sick and costing businesses and taxpayers billions of dollars? As businesses consider the workplace food environment, I encourage drawing the parallel to personal safety. It’s been proven that regular consumption of ultra-processed junk foods has been associated with chronic diseases, conditions which are easier to ignore because they are less salient than acute injuries (e.g., exposure to hazardous chemicals or surface cuts to the skin). The questions we should ask ourselves are: Would removing these products from the workplace really take away someone’s personal choice? Why is food regulation different from workplace safety protocols to wear safety glasses, hearing protection, seat belts and steel toe shoes? After all, both healthcare costs and workers’ compensation costs both adversely impact the bottom line. I contend there can be a strong business case, financially and philosophically, to make the workplace offer only healthy options, specifically, more whole foods that are plant-based. After 20+ years climbing the corporate ladder in financial services and manufacturing, Gigi Carter resigned from her corporate job and went back to school to earn a master's degree in Nutrition Sciences with emphasis on lifestyle management and chronic disease prevention. Gigi is the author of The Plant-Based Workplace: Add Profits, Engage Employees and Save the Planet. She is a certified nutritionist, and founder and president of My True Self, a socially conscious nutrition and wellness practice serving both individual and corporate clients. Her mission is to improve human and planetary health.